Newton explained one of the greatest mysteries of his time: motion. Until his laws, the explanations for motion were complicated and backwards. They were confusing and easily disproved. But Newton’s laws could be applied to all objects and every scenario. Admittedly, calculus was difficult to understand, but it was still a mathematical process, which was an improvement from before. “Things that look like they were designed, probably were... If intelligence is an operative component of the universe, a science that methodologically excludes its existence will be susceptible to being trapped in an endless chase for materialistic causes that do not exist... Where there are sufficient grounds for inferring intelligent causation, based on evidence of "specified complexity," it should be considered as a component of scientific theories. 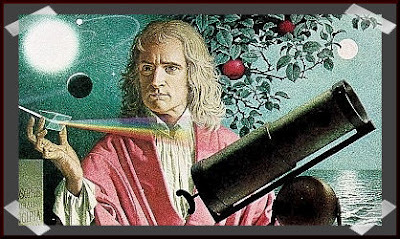 Newton defined the universe with his universal laws. It described a universe that was defined and governed, like a clock. A clock operated by itself, without outside influences affecting it, like a God. God was called the clockmaker, who set the clock in motion and then stepped back and observed his handiwork. This contradicted the Catholic Church’s belief in miracles and divine intervention. With his laws of gravity and motion, Newton stabilized the world. 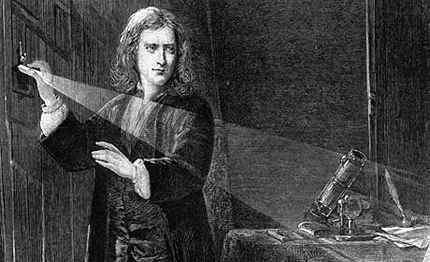 Newton’s universe was like a beacon of light, especially in a period of intense questioning, like the Reformation and the Scientific Revolution. His clockwork universe would be held up as a pillar of certainty and human superiority until Einstein’s theory of relativity, which was like a hammer to Newton’s clock. Newton’s universal laws provided an accurate and finite definition for the universe to a troubled world, in which the very definition of the universe was being called into question. It replaced one definite idea with another, and created the notion that humans could define the world with reason and science. Newton and his laws empowered the Enlightenment thinkers to apply natural laws to other things, like economics and society. This diagram is a illustration of the inverse square law of gravitational force. Basically, it means if an object is twice as far from the earth as another object, the first object is subjected to a quarter as much gravitational force and one-ninth as much if its three times farther away.